An unwillingness to adapt means that many of the challenges facing addiction treatment today have been sorely overlooked for years. Without first looking at the facts, the industry will fail to find the key to successful treatment. European CEO spoke to Jan A Gerber, Managing Director of the world’s leading provider of bespoke addiction treatment, Paracelsus Recovery, about the industry’s shortfalls and how the institution’s methods differ to those practised by the profession at large. How has addiction treatment changed in recent years? Unfortunately it hasn’t changed much. Addiction treatment is still concentrated in the Anglo-Saxon world, where most providers focus on 12-step treatment and group meetings. In most of the rest of the world, there is either no help available to speak of, or addicts are admitted to psychiatric hospitals. Only very few treatment providers have emerged that offer holistic and individual treatment. What are the major challenges for addiction treatment today? The main issue is still that addiction is hardly understood. Most experts agree that addiction is a chronic disease, but there is no silver-bullet solution or cure. The rehab industry is fragmented and most providers swear by their own methods while discounting others. Most treatment provisions are based on the 12-step approach, rooted in the philosophy of Alcoholics Anonymous, and some offer additional treatments, such as psychotherapy, yoga and acupuncture. Other providers swear by a purely medical approach, claiming that the most effective method is to prescribe, for example, Naltrexone (an opioid antagonist which essentially kills any psychotropic effect of consuming alcohol or heroin) or Antabuse (which triggers nausea when drinking alcohol). Regardless of the approach, most of the providers claim that, ‘if a patient sticks to the programme’, the recovery rates are high. There are two problems with that: one, treatment success is notoriously difficult to measure, as relapses can happen after years or decades, and, at the same time, most providers don’t follow up with their alumni over an extensive period of time; two, those for whom a specific treatment approach does not work are seen as having failed a programme, rather than the programme having failed them. Almost every treatment approach, including the 12-step programme, has success rates in the single digits. This underlines the need for truly individual addiction treatment. What is it that differentiates Paracelsus Recovery from other high-end rehabs? First and foremost, we do not just preach individual treatment, we live it. Our staff to client ratio is 20:1, enabling every therapist and doctor to work with a client on a 1:1 basis. This allows us to accommodate any starting point, and to design a treatment programme that is non-dogmatic and individually tailored. Considering that no one method or approach works for more than 10 percent of addicts seeking help, this approach is crucial for treatment success. Such flexibility and extensive expertise comes at a rather high price, but it is surprising that, even among high-end addiction treatment providers, almost none offer such an individual approach. However, it must be said that as soon as several clients are treated in one place, with group elements a part of the programme, it is both logistically and by design very difficult to provide customised treatment. Treatment at Paracelsus Recovery is expensive, at around $75,000 per week. How is this justified? We treat every client as an individual project. Each project is not only staffed with several experienced experts, but also very well coordinated and managed. Being able to offer such an advanced and comprehensive treatment for only one client at a time is the main driver of the cost. Amenities such as luxury apartments or villas, personal chefs, butlers and maids, and limousines with drivers are simply expected at this price level. 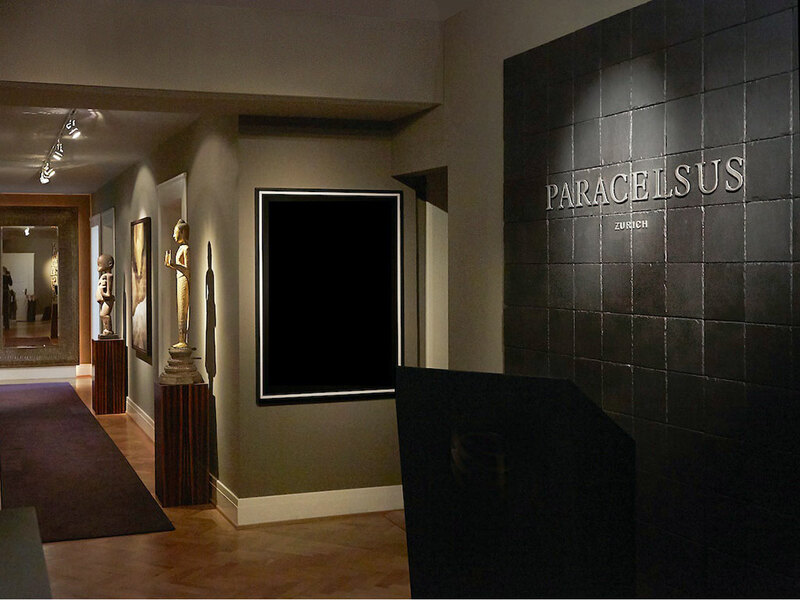 Considering that a large hotel suite in Zurich or a stay at a private hospital in Switzerland comes with a similar price tag per day, it is clear that the value for money at Paracelsus Recovery is actually very good. What advantages does private addiction treatment afford to clients? Most of our clients choose us not only because of the individual and comprehensive treatment that we offer, but also because of the guaranteed privacy. Treating one client at a time ensures that no outsiders will ever know that a specific client is or has been with us. This is a particular advantage for public figures, who have practically no other place to turn if they need or want to keep their addiction issues private. How is luxury rehab distinctly different from standard rehab? Many would argue that luxury rehab is simply more expensive. In many instances, that is unfortunately spot-on. Many luxury rehab providers combine a nice facility, gourmet food, a pool, gym and some other amenities, but do not provide any better treatment than standard rehab providers. Most high-end providers are just as 12-step based as most standard ones, and the daily routines of meetings or counselling sessions are very similar. For most wealthy clients, a luxurious environment and five-star service are important to feel comfortable, but high-end addiction treatment should not end there. What would you say to those who claim luxury service goes against common-sense addiction treatment? Many rehab providers, including higher-end ones, have principles of modesty and sharing as a basis of their approach; again this is deeply rooted in the 12-step philosophy. Making your own bed or sharing your experiences in group sessions is considered important for successful recovery. This approach may work for some, but for many it does not. Most of our clients come from a background where the idea of sharing with other patients or of cleaning and tidying causes stress, because they are not used to it. Stress is poison for recovery. Meeting individuals where they’re at, in a non-judgmental way, and providing surroundings where they feel comfortable is an important basis for successful treatment. Can you tell us more about your special emphasis on biochemistry? Addiction is, in essence, a disease of the brain. Nobody knows yet how exactly it works, but it is clear that symptoms such as cravings, anxiety and depression are results of biochemical imbalances or deficits in the brain and body. Based on extensive laboratory tests, we can identify such deficits and provide a tailor-made mix of micronutrients (amino acids, vitamins, minerals and more) in order to re-balance the brain’s biochemistry. This alleviates the typical withdrawal symptoms such as anxiety, depression, fatigue and sleep problems, as well as cravings, while also improving alertness and attention span. We have found this to be an effective basis for successful treatment, enabling other treatment methods (such as psychotherapy and counselling) and making them much more effective, while decreasing the risk of a relapse. What are your ambitions for the company’s future? Our extensive experience in individual, integrated and comprehensive treatment is something we’d like to make accessible beyond our current clientele. We aim to achieve this by sharing our experiences, participating in and sponsoring research in the field, lobbying for enabling legislation and offering fully individual treatment at lower prices in the future.